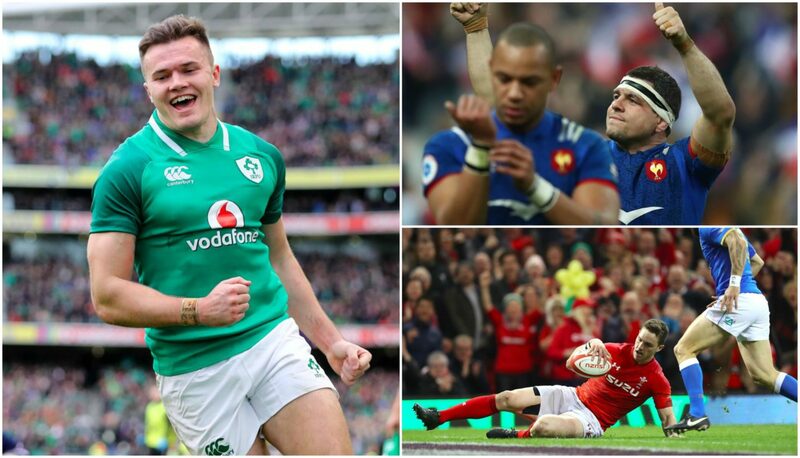 Round 3: Six Nations team of the week after the third weekend of action, which saw Ireland, France and Wales pick up wins against England, Italy and Scotland Respectively. Ended a tough week on a high, scoring Wales’s 200th Six Nations try as he supported Owen Watkins’s superb long-range break and was on hand to complete double with a well-taken score midway through second half. North also achieved a turnover. A fine return. The biggest back in the tournament. It often took two or three English defenders to stop him. The centre was always a danger. Took advantage of joke tackling to score his third try in five Tests for Wales, but what really impressed about him was his expert decision-making. He gave Wales the direction they needed, a thinking player who managed the game well. He is prolific, the Six Nations top try scorer now has six tries in the Championship. His international record stands at 10 tries in eight internationals. He also produced the two moments that defined the first half of the match, intercepting Peter Horne’s pass for a try and grabbing a second with lovely footwork. Once again had the abrasive running game and is not afraid to make contact. Also much better off the tee this weekend. The Racing scrum-half was identified by Eddie Jones as France’s danger man and so it proved. One thumping tackle on May.